Congratulations to Haralson County, the winning team in the 2018 GHSA Slow Pitch Softball State Championshipss presented by Mizuno. 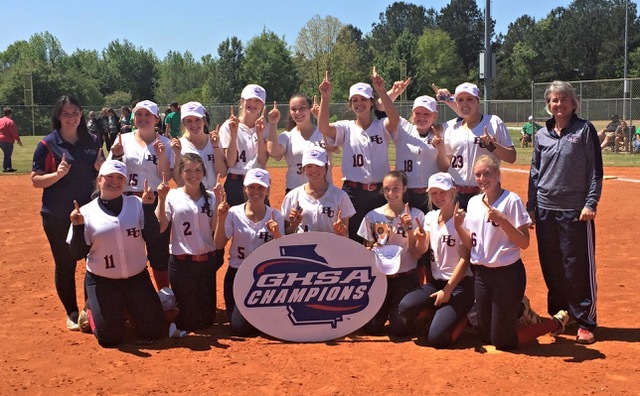 Haralson County defeated Franklin County 10-0 to claim back-to-back state titles in the event’s second season. The eight-team tournament was held April 17-18 at Lovejoy Regional Park. The competing teams were: Oconee County, Haralson County, Kennesaw Mountain, North Oconee, Morgan County, Etowah, Creekview and Franklin County.